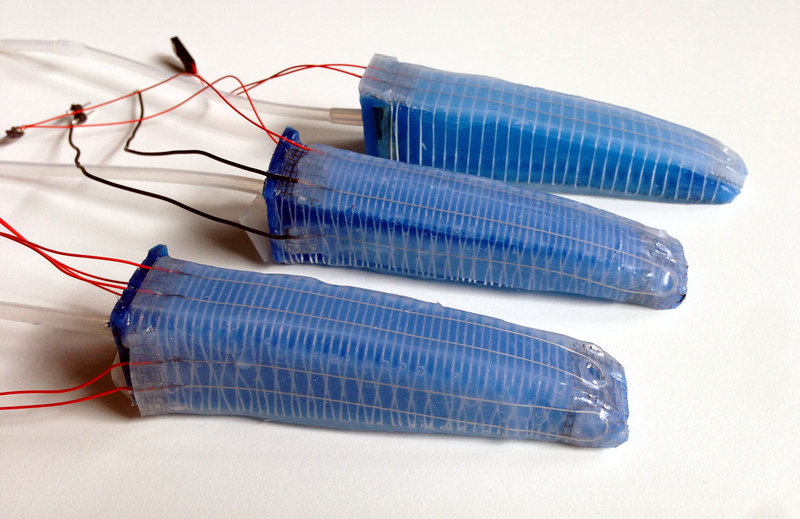 Soft Hands represent a departure from classical robot hand design, which often relies on exact models and precise planning of contact points. Instead, we aim to increase robustness and safety through the use of soft materials and flexible mechanics. This softness allows us to exploit contact with the environment and use it in robust grasping and manipulation strategies. 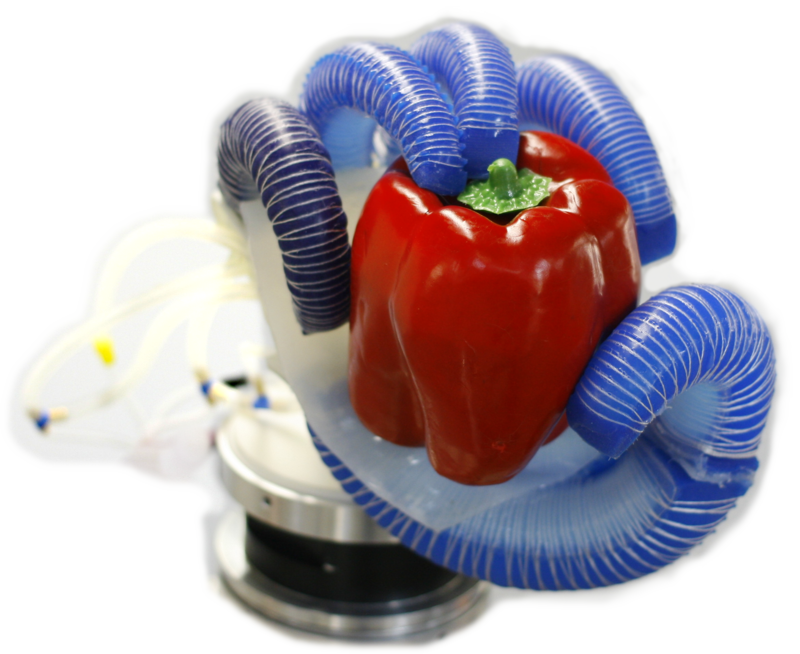 In our lab we develop the RBO Hand 2, research necessary Soft Robotic aspects, and formulate the concept of Morphological Computation. 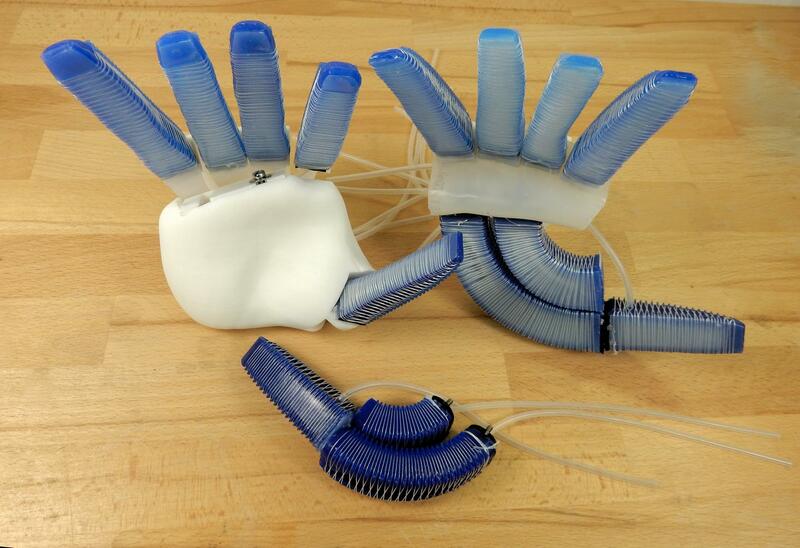 The result of our research are several hand prototypes, which we refer to collectively as Soft Hands. 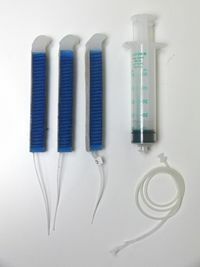 RBO Hand 2 is the latest model and used in our lab for research into grasping strategies. 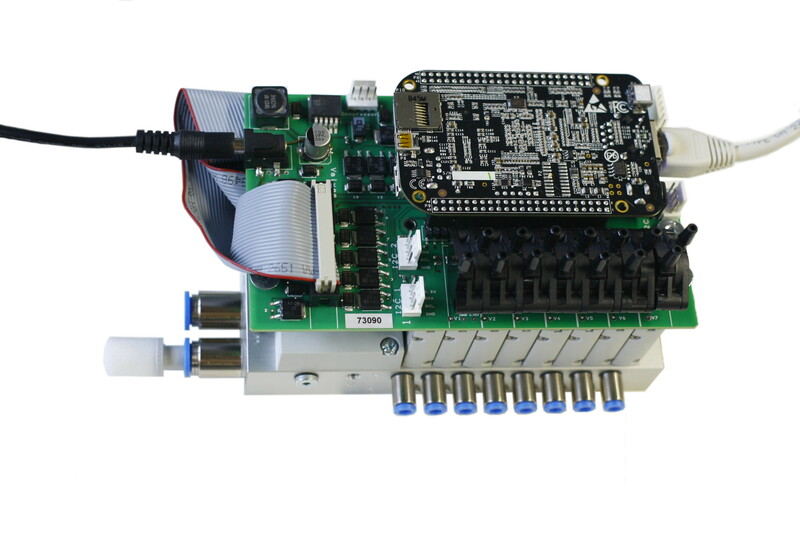 The RBO Hand 2 is controlled using a PneumaticBox and is relatively cheap to produce, modify and repair. If you want to build your own, you are welcome to do so! We have published the CAD models for the PneuFlex actuators. You can find more videos of the soft hands on our YouTube channel! The sensor feedback of the RBO Hand 2 is limited to the channel pressures. But the space of potential deformations of the PneuFlex actuators is very large. While it will not be possible to detect all those different deformations, we proposed a method to sensorize the fingers of the RBO Hand 2 to detect task relevant deformations. The result is the Sensorized RBO Hand 2. As part of the SOMA project we develop versions of the RBO Hand, based on feedback from all partners in the consortium. 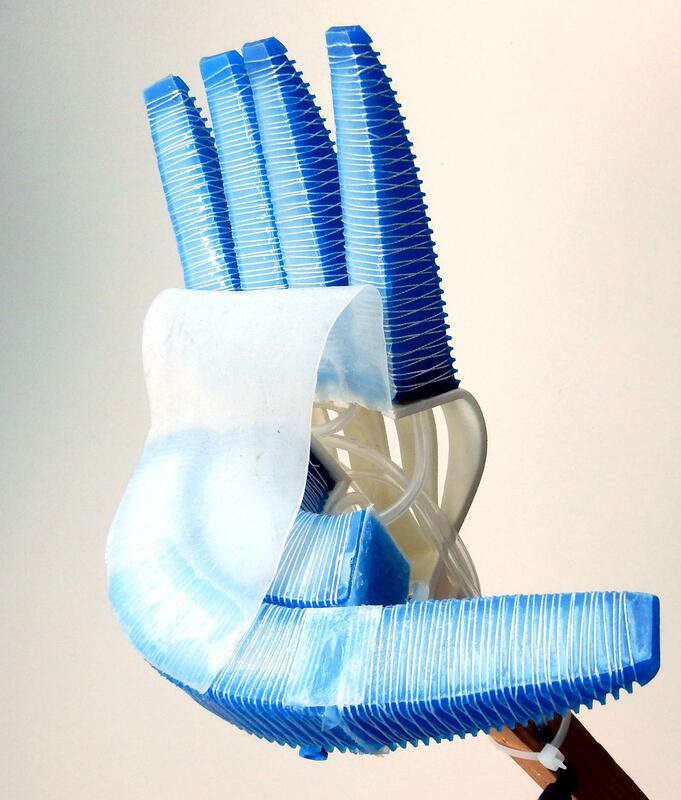 These hand versions change the geometry of the fingers, palms, and wrist. Because the RBO Hand is assembled from modular parts, we can quickly switch out parts and try different ideas. 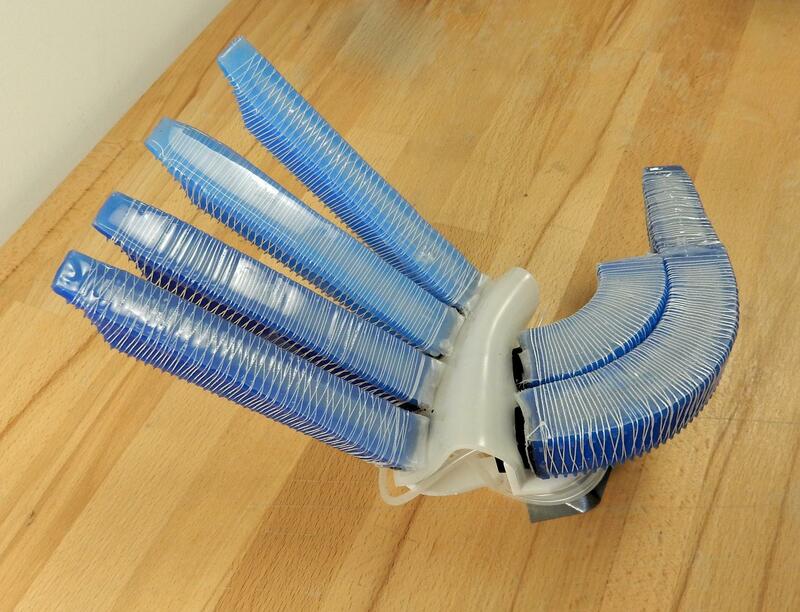 The RBO Hand (published in 2013) was the first soft hand that employed PneuFlex actuators. It uses 3 pairs of parallel and straight PneuFlex actuators. The finger are also partially connected to each other. The hand has a passively bendable rubber sheet acting as a palm in opposition to the fingers. For the control of the pneumatic RBO Hand 2 we had to create our own hardware. We developed the "PneumaticBox", which consists of valve array, a single-board computer, and a custom printed circuit board. A detailed description of the hard- and software can be found in the Tutorial section. A method to automatically create PneuFlex molds from a parametric description of shape. Due to the high deformability of soft actuators, most existing sensor technologies are not compatible. They often rely on joints and rigid links and are not flexible enough to work with silicone rubber based actuators. 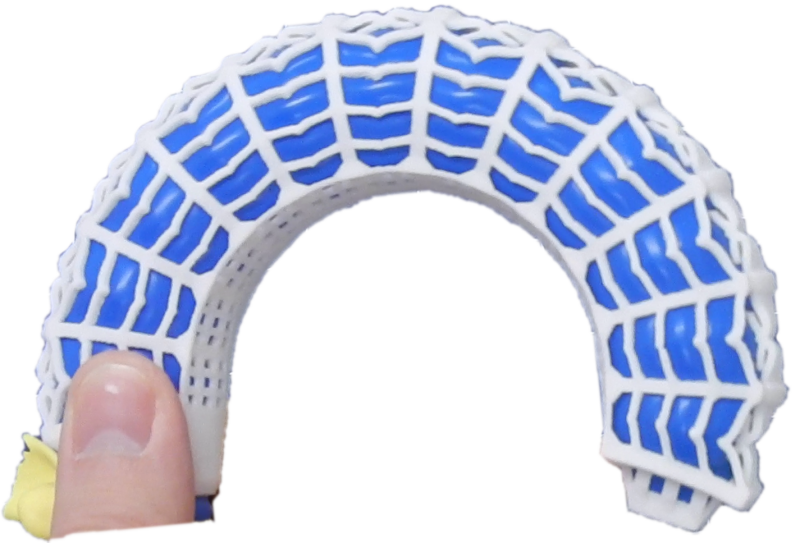 This is why one branch of our research tackles this problem and investigates how to add rich tactile and proprioceptive feedback to highly flexible actuators like the PneuFlex. Current and expected advances in additive manufacturing promise to provide roboticists with the means to literally print complete soft actuators in a single, automated manufacturing step. This could drastically simplify the fabrication process and allow for quicker exploration of various design properties. Additionally, incorporating structures on the mesoscale opens design choices not possible with solid bulk materials. 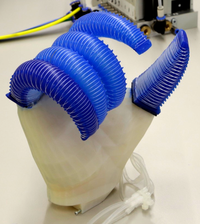 Together with our partners from the SoMa project we investigate how to create flexible 3D-models for pneumatic actuators, that we can simulate, adapt, and print. The term Morphological Computation emphasizes the notion, that the way a robot is built (its morphology) provides a substantial contribution to the computation of reactive behavior. Intuitively, controlling a robot on the higher level gets simpler when the robot's body provides more Morphological Computation to the task. Raphael Deimel and Oliver Brock. 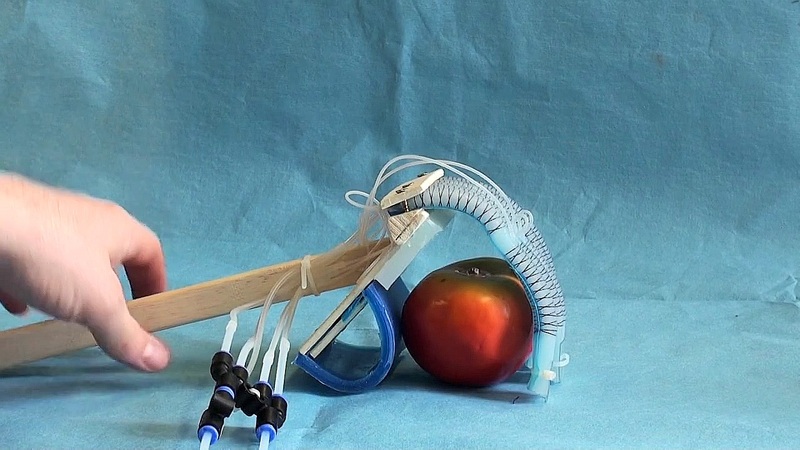 A Novel Type of Compliant, Underactuated Robotic Hand for Dexterous Grasping. Robotics:Science and Systems (RSS), 2014.